[PDF] The Book of Dog Magic: Spells, Charms & Tales | Free eBooks Download - EBOOKEE! Description: Enter the realm of dog magic, where youll develop incredible relationships with your canine friends that allow you to know what your dogs are thinking, see through their eyes, heal physically and emotionally through your spiritual bond with them, and more. 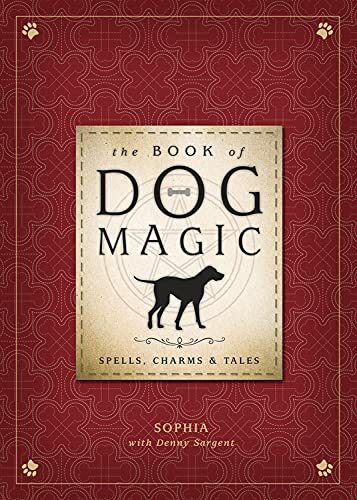 Filled with stories, spells, charms, and exercises, The Book of Dog Magic shows you how to understand your pets on a deep, even psychic, level. Join authors Sophia and Denny Sargent as they explore the history, mythology, and cultural impact of canines. Discover magical techniques to teach obedience, invoke your dog totem, and connect with a dog in the afterlife. You and your furry friends will love this comprehensive, easy-to-use guide. No comments for "[PDF] The Book of Dog Magic: Spells, Charms & Tales".